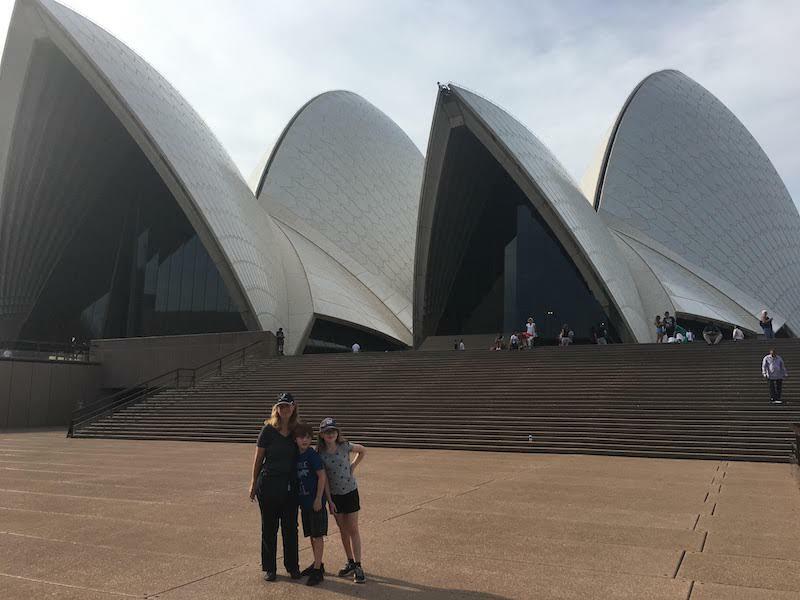 From Sydney, with love! 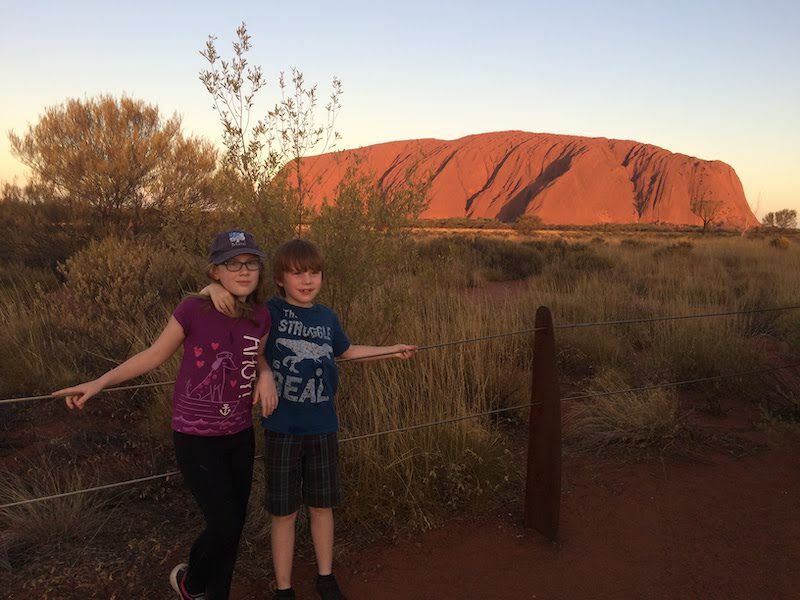 It’s been a while since the Runawayfamily kids have had a chance to sit down and write about their favorite places. 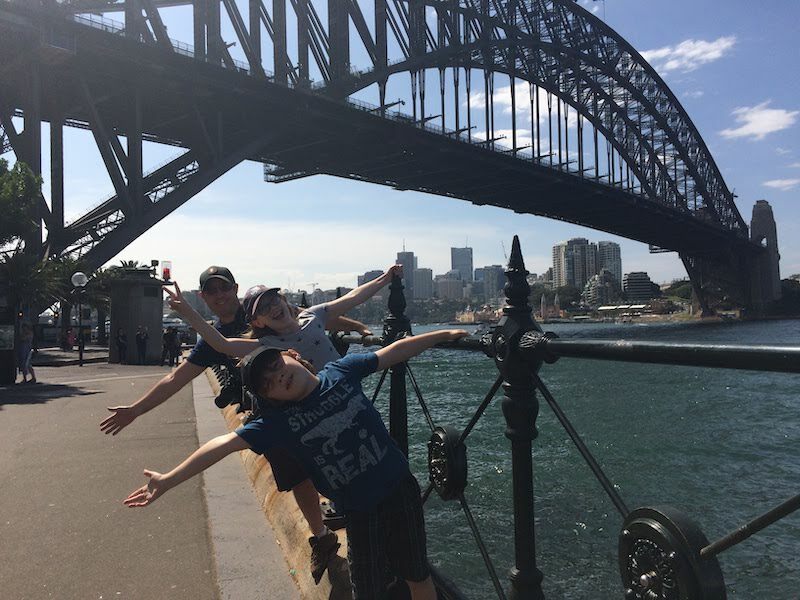 Here, the Runawayfamily kids discuss their favorite adventures on their trip through Sydney and the Gold Coast. 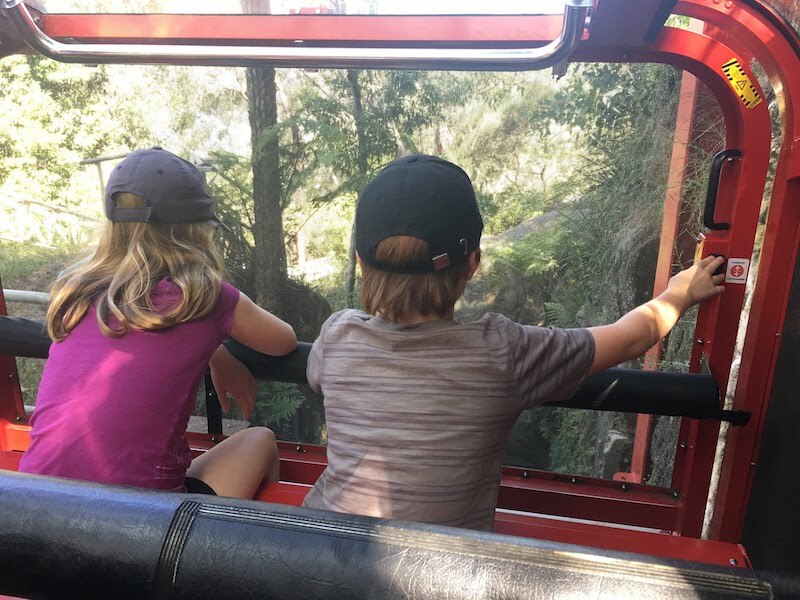 Learning about Uluru, adopting a Koala and riding on the steepest train in the world were a few of the many things we did after we left Melbourne. Read on to learn more! Uluru: really big, really tall, really red, in the middle of nowhere but really pretty and hot. The first thing I am going to tell you about is the flies because they are annoying. Seriously. The bug spray does not bother them. They will land on your face and crawl up your nose if you are not careful. It was extremely hot outside but our hotel had a pool! On a hot sunny day, there is nothing I like more than diving into a cool, cold and refreshing pool. Remember what I said about Uluru being beautiful? Well, it is but at sunrise and sunset, it is even more so. The sunset lights up Uluru making it dark on one side, light on the other. When the sun was setting, one side was red-orange and yellow and on the other side, it was purple and blue. 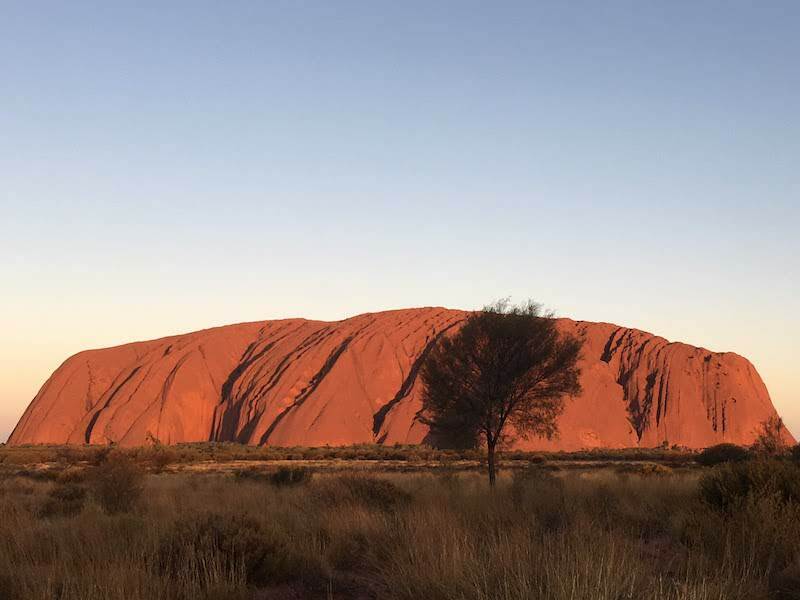 Uluru is really important to the aboriginals because it was the center of their rituals. They made amazing dot art on Uluru that was used to tell the young ones about their elders and stories that they still tell to this day. You thought you had old stories. They beat you by more than 100 years! 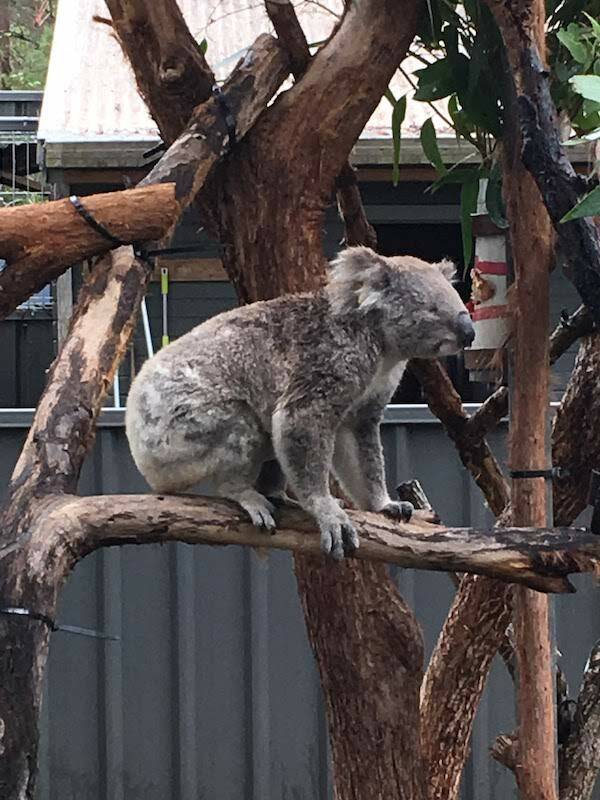 When I went to the Koala Hospital, I looked at very cute, cuddly and adorable koalas and adopted a really hurt koala. Read on to learn more. Remember what I said about adopting a koala? Well, you can’t take them home but you can support them. Liam and I adopted one called Zanini. She had burnt paws. 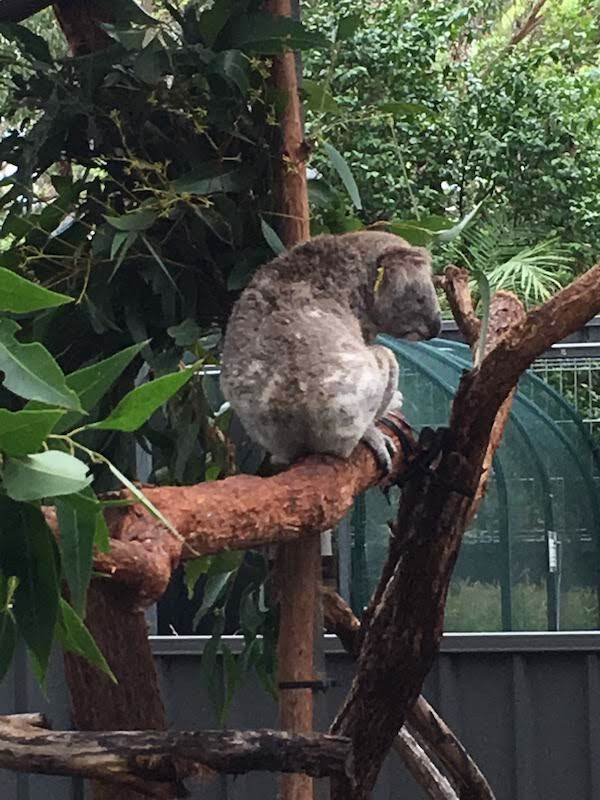 At the Koala Hospital, there are some koalas that can go back to the wild. Some can’t like Zanini. Some that can’t go back to the wild were injured far worse then Zanini. There is everything from brain damage to being blind and there was one koala that had one eye, one leg and one hand. 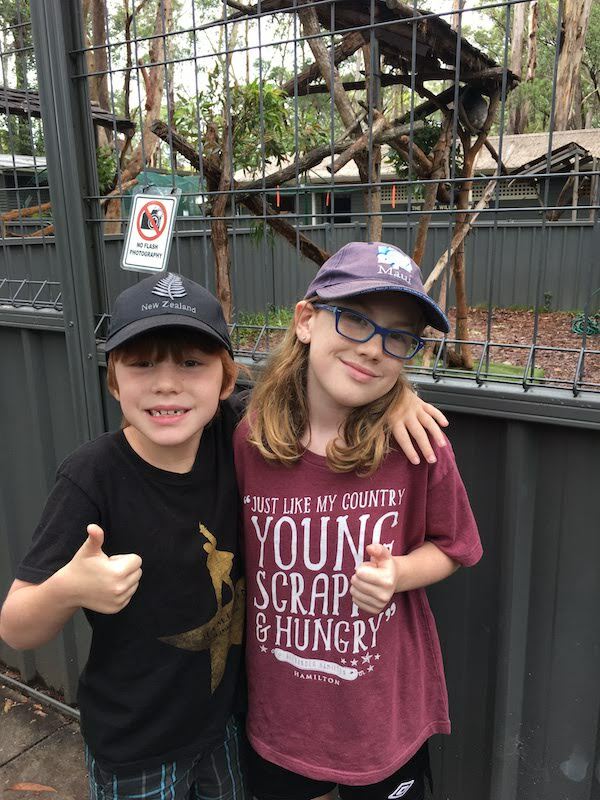 We felt really good about supporting a koala because we knew we were going to be able to help at least one koala to recover and have a better life. When we got to Sydney, we took a one hour train ride to the Blue Mountains. It was so fun but I am not going to tell you why yet! Just keep on reading! 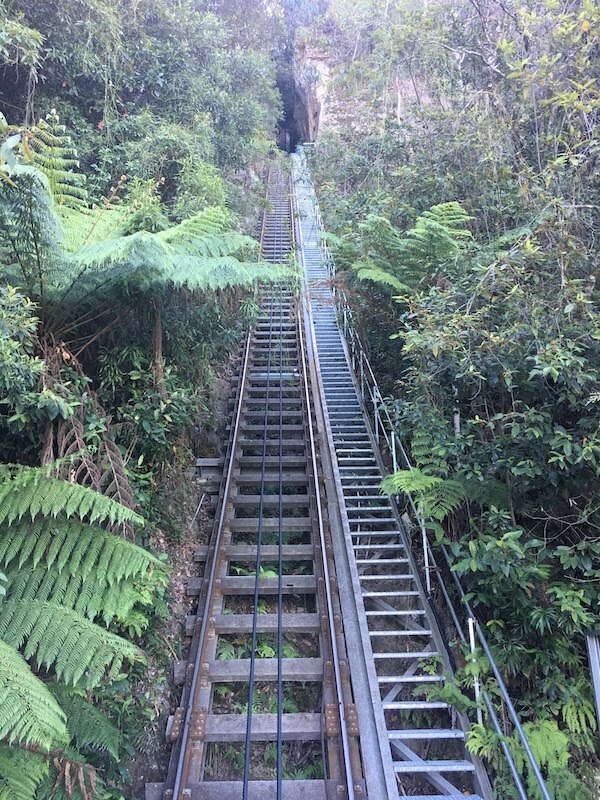 At the Blue Mountains, there was the steepest train in the world. It almost goes straight down, it is so nerve-racking. I was praying that they had really strong emergency brakes! The Blue Mountains surround a valley. In the valley, there is a jungle with eucalyptus trees and other types of vegetation. The Blue Mountains have a gondola too and the middle of the floor is covered in glass. It is a spectacular view looking down into the valley. You could see lots of things like the Three Sisters which were three rock formations that looked like three girls. A legend says that a wizard turned the girls into rocks but died before he could turn them back into girls again. 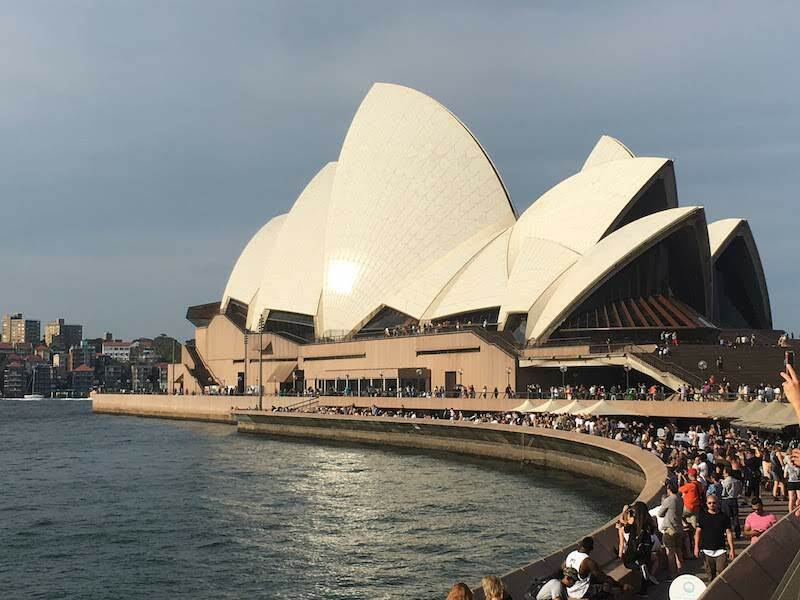 I really hoped you enjoyed reading about Uluru, the Koala Hospital and the Blue Mountains. As my brother likes to say, it is time to run away again!